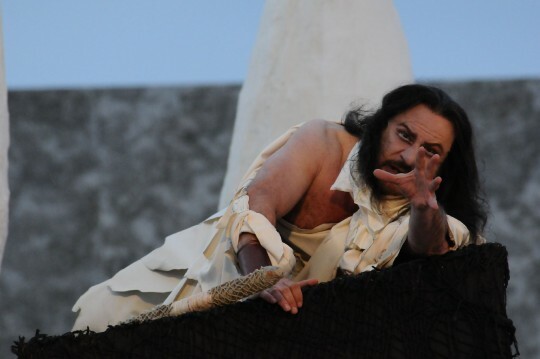 The tradition of performing classic Greek plays in the amazing atmosphere of Syracuse's Greek theatre which started in 1914, continues this year with the XLVII Ciclo di Spettacoli Classici. 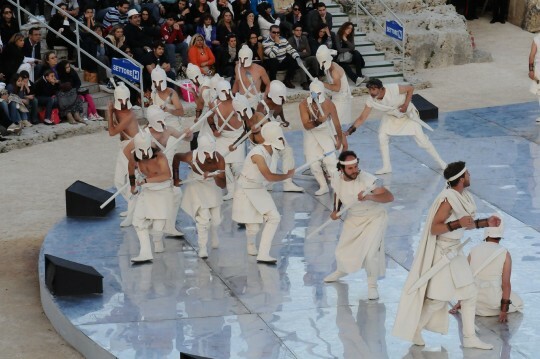 Every year in May and June, the National Institute of Ancient drama, INDA, organises these wonderful plays attracting thousands of Italians and tourists from all over the world. This year season includes Andromache by Euripides directed by Luca De Fusco, Philoctetes by Sophocles directed by Gianpiero Borgia and Aristophanes’ comedy The Clouds. The date of this paly’s first performance is unknown, although scholars place it sometime between 428 and 425 BC.In Euripides' The Trojan Women, Andromache despairs at the murder of her son Astyanax and is then given to Neoptolemus as a concubine. 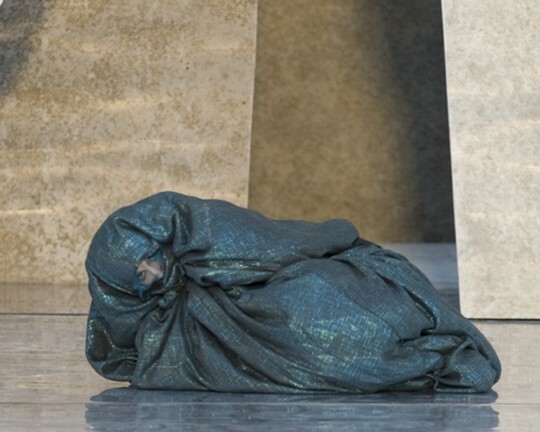 In his Andromache, Euripides dramatizes about Andromache's life as a slave, years after the events of the Trojan War, and her conflict with her master's new wife, Hermione. The play was written during the Peloponnesian War. It was first performed at theFestival of Dionysus in 409 BC, where it won first prize. The story takes place during the Trojan War (after the majority of the events of the Iliad, and before the Trojan Horse). It describes the attempt by Neoptolemus and Odysseus to bring the disabled Philoctetes with them to Troy. The Clouds can be considered not only the world's first 'comedy of ideas' but also a brilliant example of that genre. The play gained notoriety for its caricature of the philosopher Socrates ever since Plato refered to it in his Apology as a factor that contributed to the old man's trial and execution. Faced with legal action for not repaying his debts, Strepsiades, an elderly Athenian, enrolls his son in The Thinkery (the "Phrontisterion") so that he might learn the rhetorical skills necessary to defeat their creditors in court. The son thereby learns cynical disrespect for social mores and contempt for authority and beats his father up during a domestic argument, in return for which Strepsiades sets The Thinkery on fire. 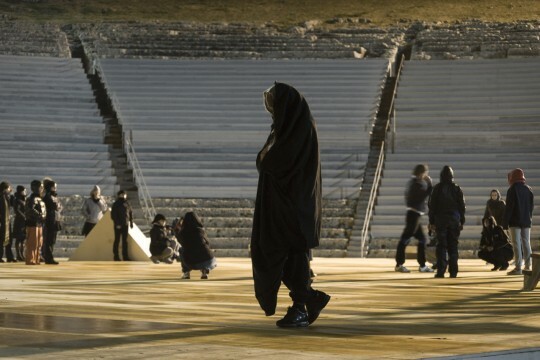 Since 1914 INDA’s work to revive the traditions of classical plays at the Greek Theatre in Syracuse, stopped only once during the Second World War. The journey of this prestigious institute continues to promote the fundamentals of Greek-Roman thought, also through publications and academic research. 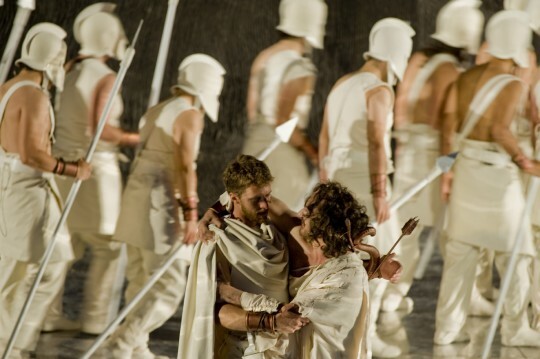 While always focused on its original ideas and objectives, INDA has undergone institutional structural changes over the course of time, turning in 1998 into a foundation which is officially in charge of organising the annual Cycle of Classical Plays at the Greek Theatre in Syracuse. The Greek Theatre in Syracuse, is the main source of inspiration for all the related initiatives been both a scenic place and an agora; a performance space with a historical memory able to take you back to the ancient times when a Greek audience enjoyed the plays sitting right there, on the spot where you are sitting now in 2011. This year shows will be performed until the 19th of June, to know more about the plays, dates and tickets, visit the INDA website.